Unlimited Salt Sessions for $99 a month! All classes are designed to provide a quiet therapeutic environment incorporate Creative Movement, Express Arts and Mindfulness Stress Reduction through movement, while experiencing the benefits of the Children’s Halotherapy Salt Room and having fun! How do I choose which oils are best for me? Choose with products can assist the body in restoring health. Uses bio-feedback technology via hand cradle to determine your exact needs. Get results in 5 minutes. 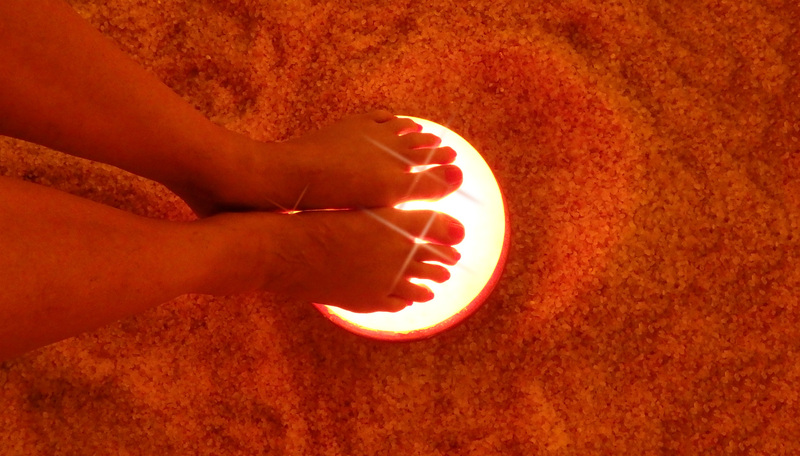 Salt Therapy, also known as Halotherapy, is a holistic treatment which reproduces the unique microclimate found in natural salt caves. Salt Therapy is effective in treating a variety of upper and lower respiratory tract disorders and skin conditions such as COPD, Asthma, Bronchitis, Emphysema, Cystic Fibrosis, Eczema and Psoriasis. The salt particles can help to open up the airways, increase oxygen intake and cleanse the airways of smoke, dust, pollutants and other allergens. When the salt lands on the skin it can also help to relieve sore, flakey, red and irritated skin. Consistency is key – regular salt therapy can make breathing become easier, while shortness of breath, wheezing, coughing, congestion and irritated skin may gradually be alleviated. Around since the 18th century, this natural non-invasive therapy involves inhaling salt particles, which can help cleanse both the airways and the skin to relieve congestion, inflammation and skin irritations. 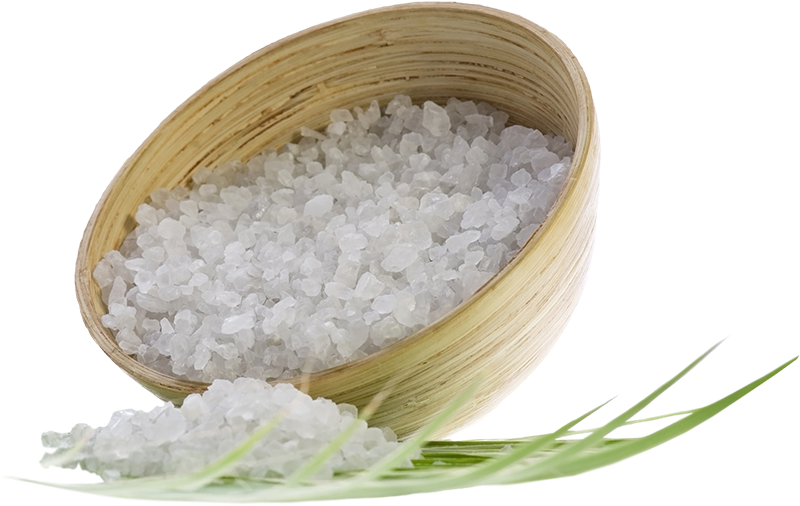 Salt therapy can help relieve the symptoms of a wide range of respiratory and skin conditions, as salt is a natural anti-inflammatory, antibacterial and antihistamine. 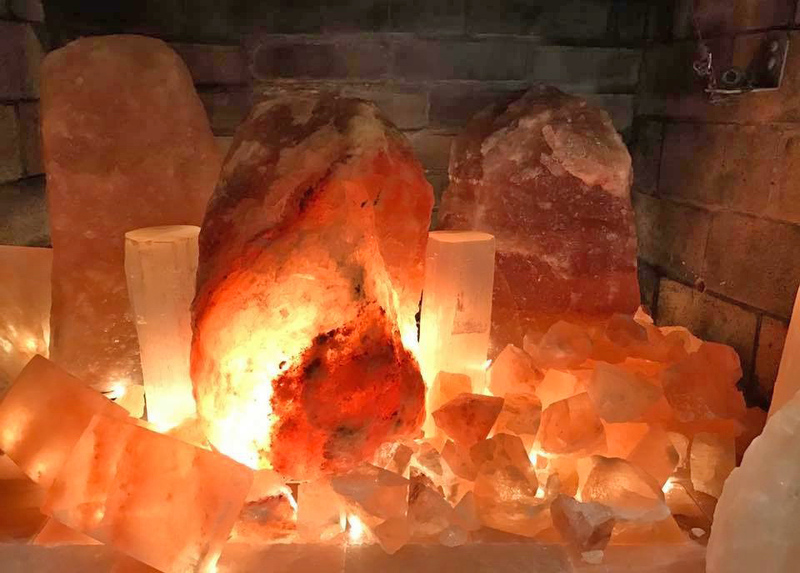 Our salt room is encased in pink salt bricks mined in the Himalayan mountains of Pakistan. These mineral-rich salt deposits were created over 250 million years ago when sea levels around the mountain range receded. Salt from these mines are not only beautiful, but have been used therapeutically for hundreds of years. Salt spas like ours have been popular in Europe for many years and people in the U.S. are just now realizing the benefits of salt therapy. 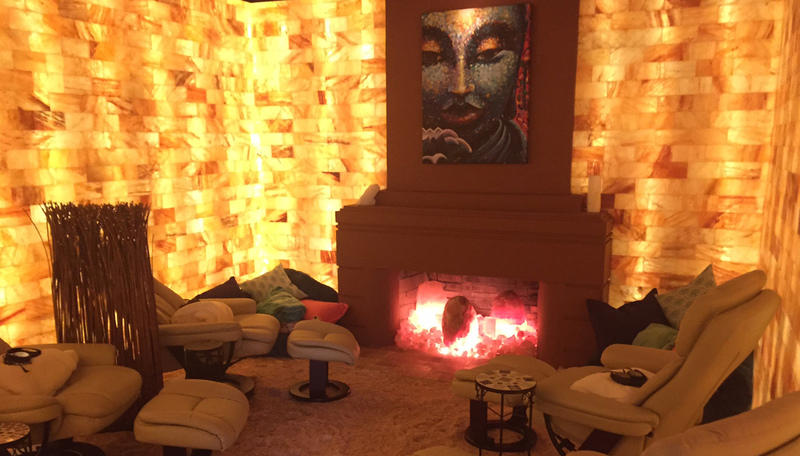 During a 45-minute therapy session in our salt room, pharmaceutical grade salt is ground into fine particles and circulated throughout the room. This enhances the therapeutic effect the salt room has in alleviating symptoms associated with respiratory and skin diseases. A session in our beautiful salt room is also a great way to relieve tension and stress in your life. 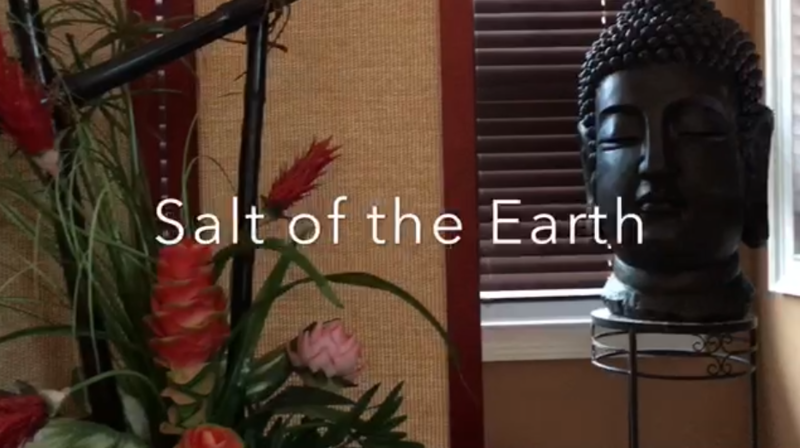 The owner, Wanda Bresette opened Salt of the Earth Halotherapy and Spa as part of her journey to educate people about the benefits of salt therapy. She was diagnosed with emphysema three years ago and was looking for an alternative, natural treatment that didn’t include steroids or inhalers. Through her research, she learned the benefits of salt therapy and began treatment at the Salt Suite in Palm Beach Gardens, FL. 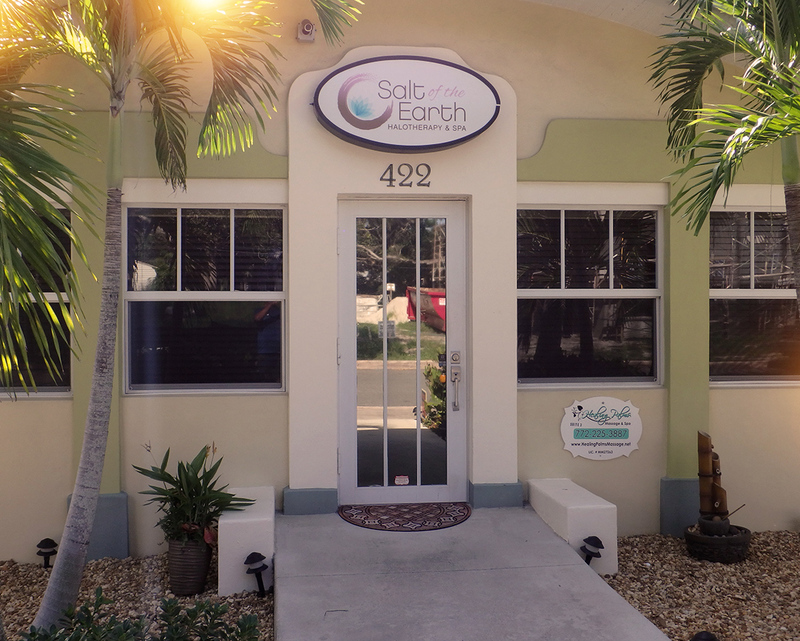 She was so impressed with her results that she opened Salt of the Earth Halotherapy and Spa to provide a place in Stuart that would provide access to salt therapy in a tranquil, therapeutic environment. While salt therapy can alleviate the symptoms of many pulmonary and skin diseases, it is not a cure. Please consult your health care provider before beginning any alternative treatment. Health benefits of copper are well known. 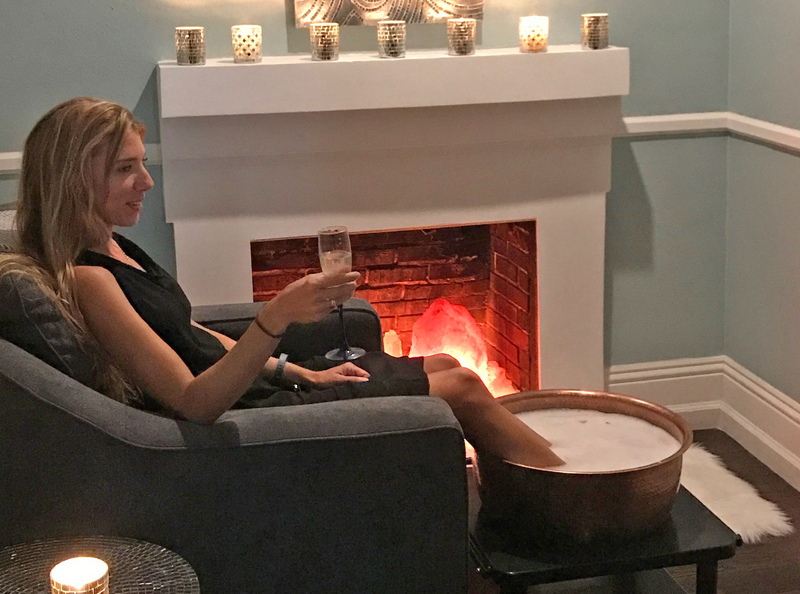 Soaking feet in a Copper bowl can help to achieve a healthier immune system as well as help with joint pain from conditions like arthritis. Besides the beauty, copper naturally kills many germs and bacteria and helps reduce pain and inflammation. Positive and negative magnetic fields created by copper help energy flow through the body. Ionized copper was used by ancient Egypt to “purify” water. In addition the body absorbs small amounts of copper into the blood stream. In the blood stream, copper binds together with enzymes. These enzymes are used to aid in the creation of hemoglobin. Hemoglobin is necessary for the body to repair and heal itself. Copper is a vital part of the body’s immune system. Copper bowls used for pedicures draw out positive ions (which are bad for us), neutralizing electrostatic energy in the body. When soaking the feet in copper, the positive ions that accumulate around us are balanced, leaving our bodies ready to fight off environmental pollutions better than before. Our foot soaks are lovingly handmade by Julie Doss fresh upon your arrival. 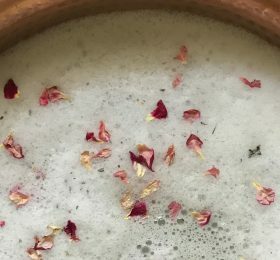 There are at least 8 personally blended soaks to choose from and once you have selected the one that speaks to you it will come out to you in a large copper hand-hammered bowl. We get you all comfortable and snuggly with a neck wrap, bring you a beverage of your choice, and then serve up an intoxicating soak for your tired feet. 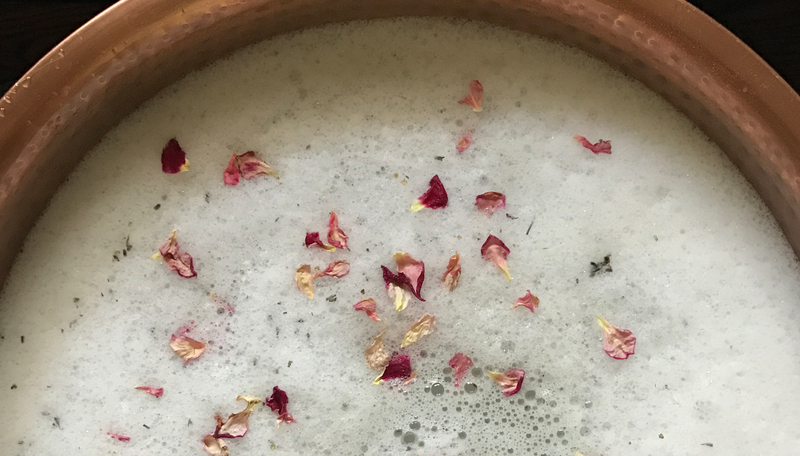 Many of our soak recipes use salts, detoxifying clay, pure essential oils, shea butter, coconut oils, organically grown dried flowers, and so much more. Our foot soak services are 45 minutes long and include a “warm-up” about half way through your soaking experience. There is something very special about tending to someone in a quiet, pampering, and very sacred way. We are mindful of the change and sense of renewal that takes place when someone is soaking. The look on your face is worth everything to us and we strive to make your experience unforgettable. Highly emollient, aromatic, and sensual. Lavender, Jasmine, Rose, Rose Petals, and detoxifying SOE salts. Healing for the skin and muscles. Detoxifying SOE salts, with oils of Lavender, Tea Tree, and Clary Sage. Had the most luxurious massage and foot soak today!! Both rooms were so peaceful and I felt incredibly relaxed. Massage was with Chelsea and I indulged in the Temple foot soak. Delicious! I sincerely recommend them and can’t wait to go back for the salt room. his was the most relaxing and amazing day I have had in years. The Salted Desert Rose foot soak, followed by the salt room, and then the most amazing massage by Tiffany. The ambience is peaceful, exactly what I needed! I loved the atmosphere of this place, they have attended to every detail. What a beautiful space. Can’t wait to go back! Love this place. So much to offer and the salt room is absolutely amazing! Relaxing and healing! Works wonders on my allergies! My mother was told by her doctor on Monday that she had either Asthma or COPD and scheduled a Pulmonary test to see the severity of her condition. Wednesday she spent 45 minutes here in the salt room. Thursday, she had her appointment for the Pulmonary tests. Her lungs are functioning normally!!!! UNBELIEVABLE!!!! Yesterday I had a foot soak – amazing!